Summer is in high gear here in Texas, which means we’re enjoying more salads – either as a healthy side dish or as a refreshing main course. I’m a huge fan of salads – they’re easy to make, chock full of healthy vegetables and/or fruit, and they are so versatile! This month, Stonyfield Clean Plate Club members are partnering with Taylor Farms bagged salads to share delicious Summer salads with creamy homemade salad dressings made with Stonyfield Greek Yogurt. 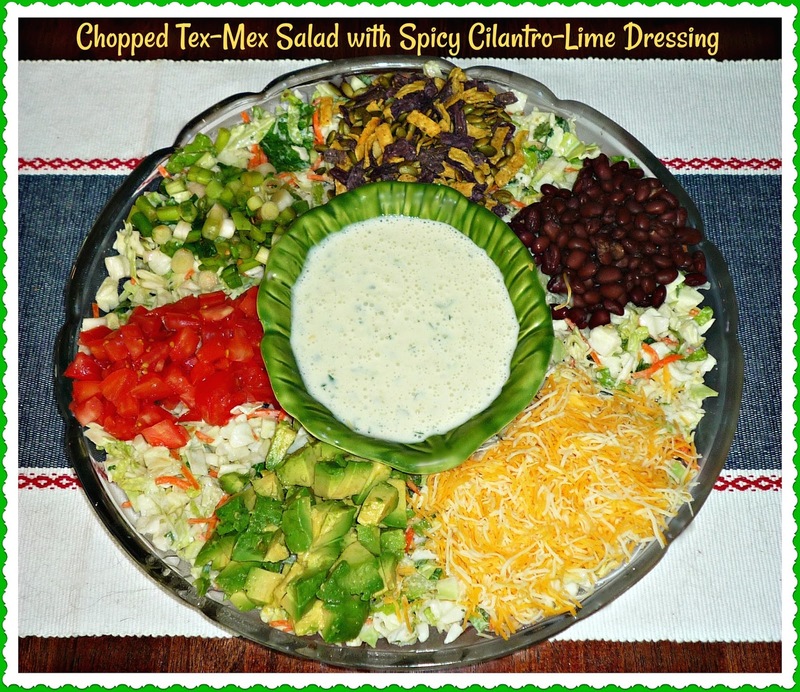 I'm sharing the recipe for my Chopped Tex-Mex Salad with Spicy Cilantro-Lime Dressing. 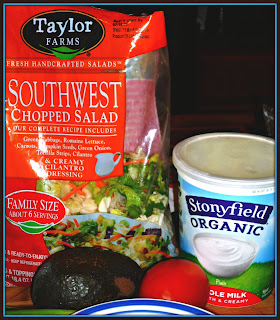 This salad features Taylor Farms' Southwest Chopped Salad kit and a mildly spicy creamy dressing made with Stonyfield Whole Milk Greek Yogurt. I make the dressing a few hours ahead (up to overnight) and let the flavors combine in the fridge. Then, assembly is a snap when you're ready to eat! The Taylor Farms chopped salad kit contained a combination of cabbage for extra crunch, romaine lettuce, green onion, carrots, and cilantro. This yummy salad features shredded cheese and black beans for protein, chopped tomatoes and green onions for color and flavor, the salad kit’s package of tortilla strips and pepitas for crunch, and a healthy amount of creamy avocado. 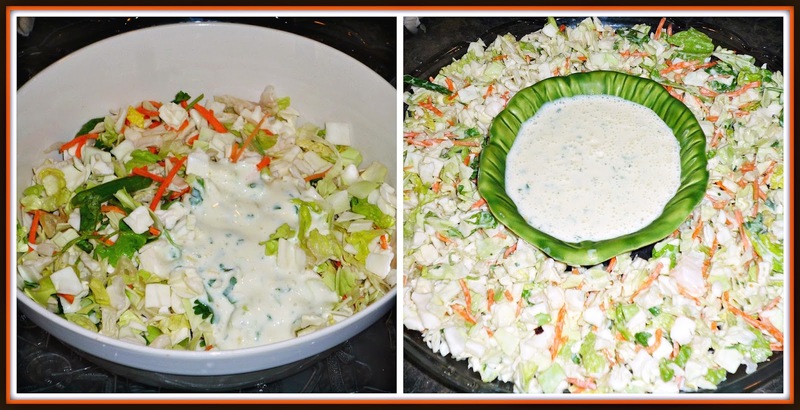 This salad is assembled on a pretty platter with a bowl of the homemade dressing in the center. This salad is so pretty that it will be a perfect centerpiece for any Summer get-togethers you have planned. Juice from half of a large lime -- approx. 1 tbs. Step 1: Make the dressing up to 24 hours – but at least 2 hours – before you want to serve the salad. 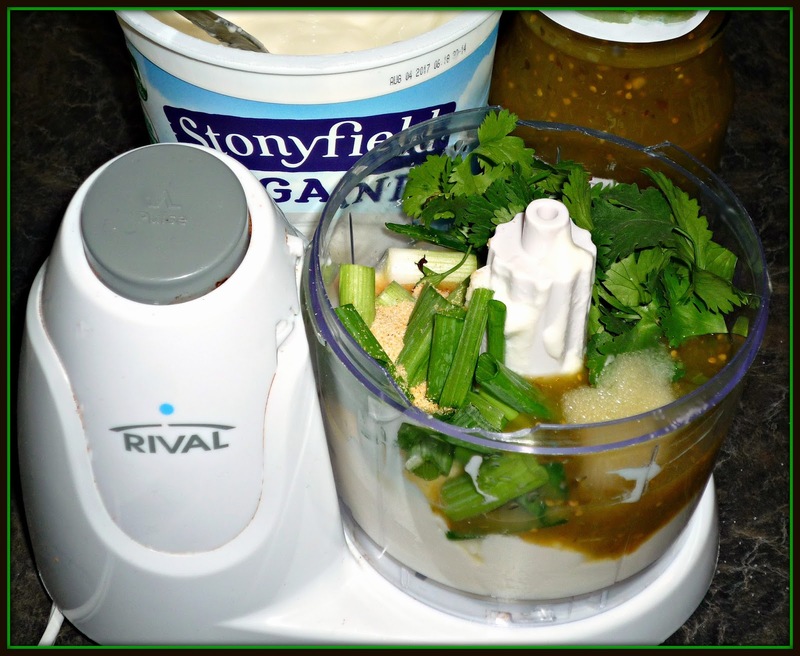 Add the Stonyfield yogurt, lime juice, cilantro, garlic, green onion, and salsa verde to a small food processor or blender. Blend until all of the ingredients are completely chopped and incorporated – add salt and pepper to taste. Pour the dressing into a container and store, covered, in the fridge to let flavors combine. Step 2: When ready to assemble the salad, add the Taylor Farms Southwest Chopped Salad mix to a large bowl (reserve the included pouches of salad dressing in the fridge for another use). 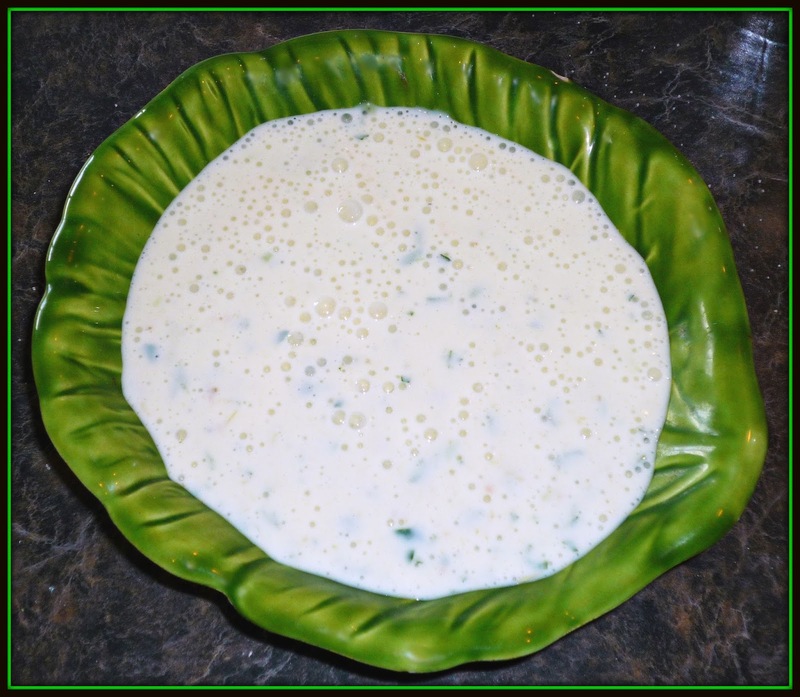 Add ½ cup of the homemade yogurt-based salad dressing to the greens and toss to evenly coat with the dressing. Place the rest of the dressing in a decorative bowl and place in the center of a round platter. Arrange the dressed salad greens evenly around the dressing. Step 3: Top the salad in segments with the tortilla strips and pepitas from the chopped salad kit, Roma tomatoes, green onions, cheese, avocado, and black beans. 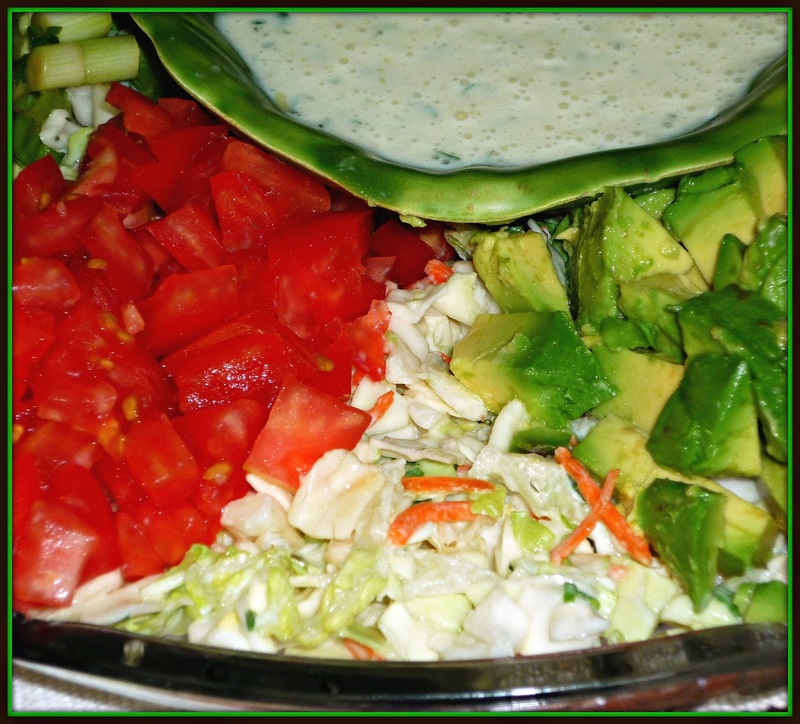 Make sure to leave space between each segment of the toppings so the salad greens show through a bit. Squeeze a bit of lime juice on the avocado to prevent browning. Immediately before serving, toss all of the salad ingredients together. 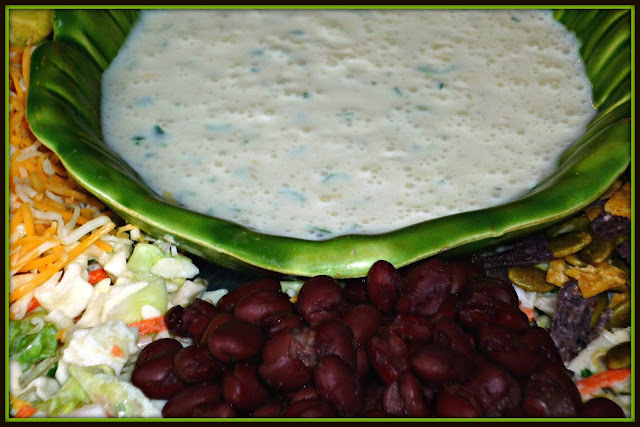 Place on four chilled plates and let each person drizzle more dressing on top, if desired. 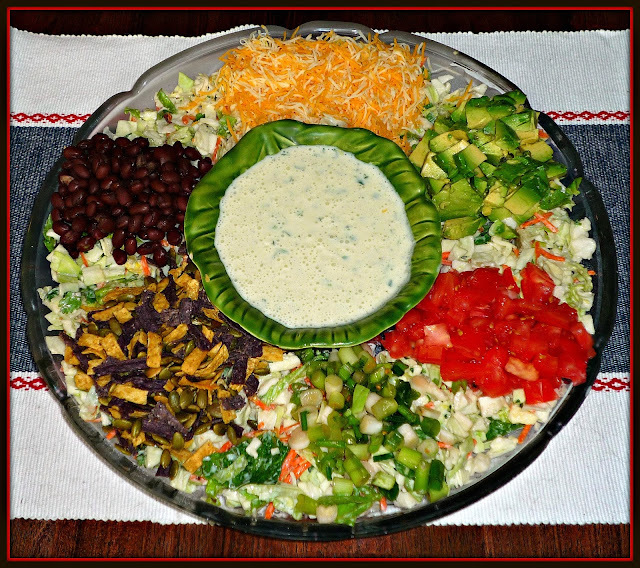 This salad is so tasty...it tastes just like a meatless taco salad! I loved the combination of flavors and textures. As an added bonus, the cabbage in the Taylor Farms Southwest Chopped salad blend ensured the salad didn’t wilt. In fact, the leftovers were still perfectly crunchy later that night. The combination of the lightly spicy, tangy Stonyfield Greek homemade yogurt-based dressing with the salad ingredients worked perfectly together – every bite was slightly different, but all of them were delicious! I personally found this salad to be plenty filling for a light lunch. However to make this a main dish dinner salad, I would likely add some cooked taco meat or fajita-spiced grilled chicken breast on top to make it more hearty. If you have any leftover dressing, simply store it an airtight container in the fridge -- it's great for dipping raw crudite or baked tortilla chips. I hope you’ll give this hearty chopped salad a try this Summer…if you do, let me know what you think! Disclosure: This is a compensated post as part of the Stonyfield Clean Plate Club. I also received complimentary yogurt from Stonyfield and bagged salad blends from Taylor Farms to facilitate recipe development. All opinions stated were solely my own.